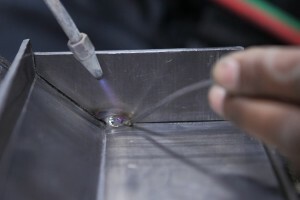 Lead lining is the process of applying lead to sheet metal, plastics or castings. 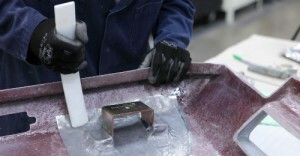 Vulcan GMS uses a variety of contact cements and epoxies based on the application. Lead can be saw cut, router cut or die cut to produce the lead blank needed for the application. We can use other processes like spinning or forming to generate the needed profiles. Vulcan can apply the sheets or shapes with pressure if needed to ensure a solid bond or expansion. We can also use a variety of techniques to ensure that there are no joints (overlap joints, stop joints, lead burned joints or corner extrusions) which could cause radiation leaks. We also can lead line nearly any application for products such as X-Ray tube housing, X-Ray tunnels, X-Ray tanks, and collimators, which are all typically used in the medical X-ray and security markets. Lead welding is the process of using modified equipment to fuse lead with an arch by welding the material to itself. 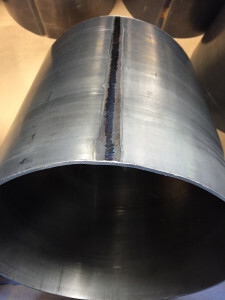 Vulcan GMS can roll and weld tube for most applications we need allowing us the flexibility to create tubes for shielding or industrial products. Our weld joints are sound and offer outstanding radiation shielding in X-ray and nuclear applications. Many of our lead products that we spin or press actually begin as rolled and welded lead tube. 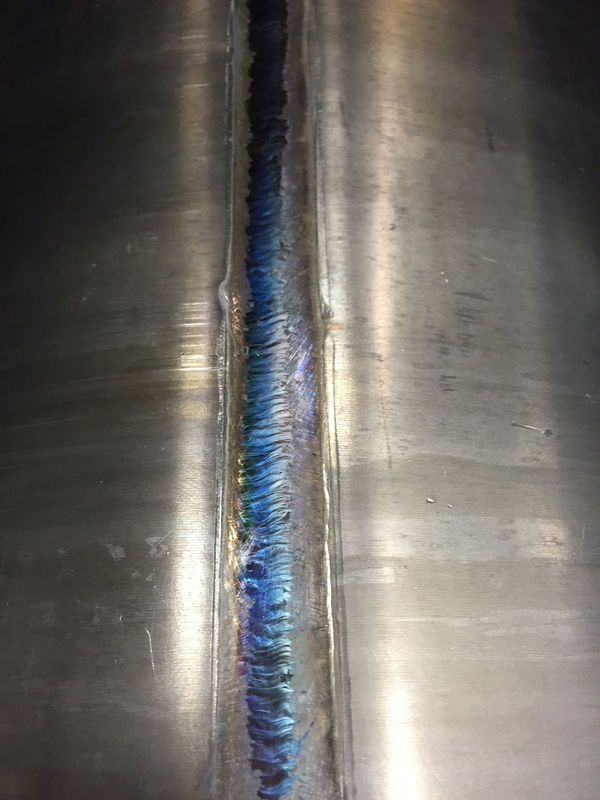 Our weld joints perform so well that we can also post form them in operations like this. Vulcan can also weld lead plate or sheet lead providing a secure bond and shielding needed for your toughest requirements. 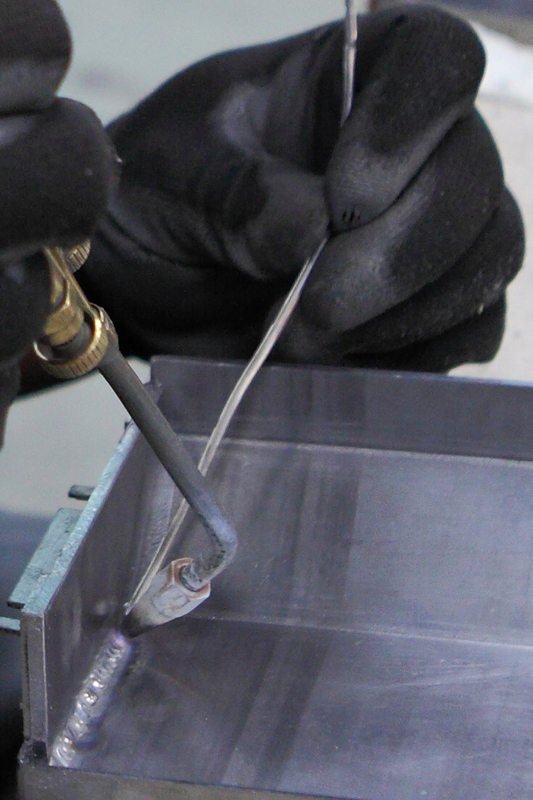 Fluxing is the process of using a flux solution that is applied to two dissimilar metals to fuse them together. This can be used for creating a full band of lead to copper, tin, sheet metal, etc. It is also a good way to secure material and ensure electrical conduction when needed in application like platting anodes.